Welcome to the classroom page! Here, you'll find descriptions and prices for our adult workshops and classes. Read 'em all, then hop to the CALENDAR PAGE for dates and times. Reservations are a must! 904-261-5566 If you gather a group of 4 or more, you may create your own class. Have you ever wanted to get your hands into clay? In this class you will learn how to form clay into spheres, cylinders, and flat slabs. From these forms, you’ll be guided to create functional pieces such as bowls, vases, and platters. Because you will also learn the proper techniques of attaching one piece of clay to another, you can let your imagination run wild to build sculpture using your new-found knowledge. There have been books written about singular techniques such as "Finding One's Way with Clay" by the late Paulus Berensohn on making pinch pots. Periodically, we will offer a workshop devoted to one technique and spend our time exploring it in depth. Look for workshops on making ocarinas, box making and tiles. Check the calendar for dates, times and costs. * For all clay classes, there is an extra fee for firing, glazes and for the purchase of more clay. It is never to late to have a happy childhood. 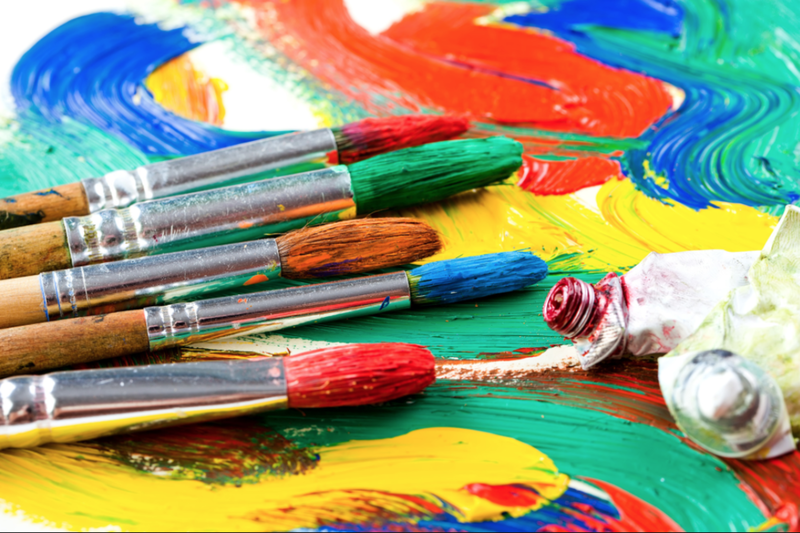 Unleash your inner child with a different art project each week. BYO snack and beverage Reserve Your Spot! Check Calendar Page for Specifics $25. to $35. Gather a group of 4 or more and we can have a special class designed for you. Fun for Birthdays, Bachelorette Parties or a Night Out! Call for specifics. Looking for a space to teach a class? Call for details and availability.